The house is sold and we're packing for a Nov 1 departure. 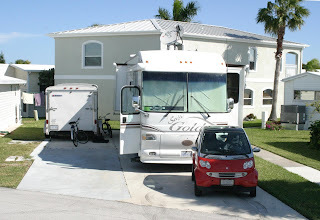 The RV is just about ready to go with Datastorm Internet access and all the necessities of life! We'll be "roughing it smoothly"!